Rune Factory 4 has finally come to Europe, so now everyone should fully understand just how great it is. I was pretty upset when I found out that the development team went under shortly after the game’s release. How can you get more games by the same people if their development studio is out of business? Luckily, they managed to make magic and keep working together in their new studio. They made Forbidden Magna, which was released in Japan on October 2. Luckily, XSEED continues to be the best friend I didn’t know I had and just registered the domain LordofMagna.com. While this isn’t a formal announcement, it’s pretty much as close as you can go without actually getting one. 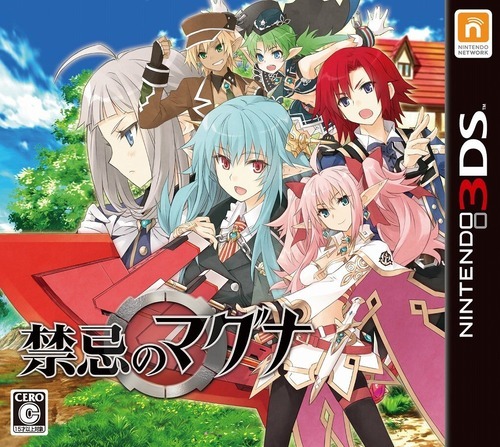 If you haven’t heard what Forbidden Magna (or Lord of Magna in the West) is all about, it involves splitting your time between running an inn with a group of spirit girls, while you and those same girls battle in turn-based combat, similar to Valkyria Chronicles. As soon as we know more, we will be sure to let you know. Below, you can find a trailer for Forbidden Magna and a bit of gameplay of the game on a Japanese system. Are you guys excited for this game? Waiting for more details to get on the hype train or just lacking interest altogether? Let me know in the comments below! Gameplay video from Nihongo Gamer on YouTube!